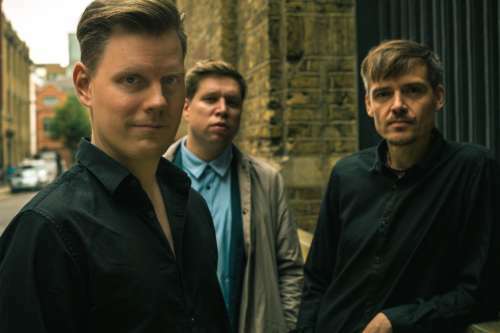 Solo albums, piano trio work and extensive efforts as a sideman both locally and globally made Aki Rissanen one of the leading Finnish jazz pianists of his generation. Now his new album seems to be catapulting him to the top of the heap. Aki Rissanen (b. 1980) is a well-read and widely travelled pianist, composer and improviser who has augmented his local studies in Paris, Cologne and New York City and performed at many stops in between. In addition, ten years as a recording artist have made him confident enough not to hide his influences. On the contrary, Rissanen’s affection for the late great Bill Evans is plain as day on his latest album Another North. Even further, by interpreting György Ligeti’s Étude no. 5, Arc-en-ciel, originally inspired by Evans’s “luminous chords”, Rissanen brings the cycle of inspiration full circle. Fulfilling the success of this bold venture are bass player Antti Lötjönen and drummer Teppo Mäkynen. This musical intertextuality makes it easy to jump to conclusions about the album’s title. However, Another North appears not to be an allusion to the famous 1967 radio documentary The Idea of North by piano legend Glenn Gould. The phenomenon has its roots in Stuart Nicholson’s prominent 2005 book Is Jazz Dead (or has it moved to a new address)? which made many an eye and ear turn towards Finland, Norway and Sweden in search of some magical, unique and heretofore hidden take on improvised music (see also FMQ’s article from 2014). This particular type of ‘Jazz 2.0’ doesn’t resonate very well with Rissanen. Since Rissanen’s mode of expression is an original development of the innovations made by Bill Evans in the late 1950s, he can easily be seen as belonging to the same continuum as Brad Mehldau, for instance. And of course there is one particular monolith of modern jazz piano superbly versed in both classical music and showtunes that cannot be overlooked in this context. He became a game-changer in the 1980s as both a solo artist and a trio leader. The ace up Rissanen’s sleeve is his background. He may shun the idea of ‘Nordic Jazz’, but Finnish heritage plays a major role in his essence as a 21st-century jazz pianist. His blood separates him not only from Americans like Jarrett and Mehldau but also from his Swedish and Norwegian counterparts. A lot of this can be attributed to the warm relationship Rissanen enjoyed with his most important tutor, Jarmo Savolainen. Also included on Another North, the tune becomes one of the album’s highlights through Rissanen’s poignant and melodic treatment of the translucent theme. Aki Rissanen Trio: Aki Rissanen, piano; Antti Lötjönen, bass; Teppo Mäkynen, drums. Apart from a few earlier isolated exceptions to the rule, the first musicians in Finnish jazz, rock and pop who seriously tried – and in some cases succeeded – to break through internationally came from the turning point between Generation X and Generation Y. Rissanen belongs to this age group and has worked extensively with musicians ranging from Belgian saxophonist Robin Verheyen to Danish drummer Stefan Pasborg and beyond. And it is not as if Rissanen has been underemployed back home. In recent years, he has found himself ever more in demand with contemporary colleagues. Like him, many of them are also on the verge of international success. Perhaps taking a cue from his mentor Savolainen, who recorded for Dutch record labels for most of his career, Rissanen has understood the value of working with companies from all over. To date, his music has been released on French, Finnish, German, Swedish and British labels. At least marketing-wise, the most important is the most recent. Edition Records from the UK first featured Rissanen in 2015 on Verneri Pohjola’s Bullhorn. The following year, he had the opportunity to premiere his current trio on the highly acclaimed album Amorandom. The collaboration continues with Another North, and a roadmap for the future is already being laid out. Aki Rissanen Trio is currently touring in Germany. The concerts are in JazzArchitekt, Wiesbaden (April 13), and Salon de Jazz, Cologne (April 14).